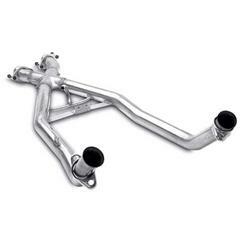 Late Model Restoration is your one stop shop for all 1994-2004 Mustang midpipes and Mustang exhaust components! 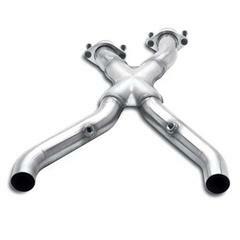 Add more horsepower and performance to your Mustang with a new h-pipe or x-pipe from Late Model Restoration. 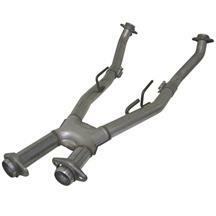 These midpipes are wider in diameter and are offered with or without catalytic converters. 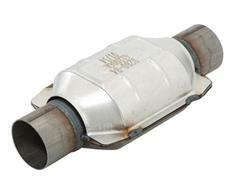 Choose a catted h-pipe or x-pipe to keep your car emissions legal with two high-flow catalytic converters. 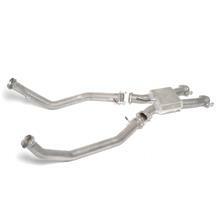 Go cat-less with a Mustang offroad x pipe or h pipe for more power and a deeper exhaust tone. 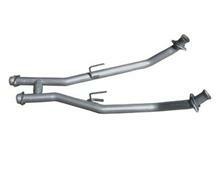 These Mustang midpipes are offered in various finishes to get your exhaust system looking and sounding great! 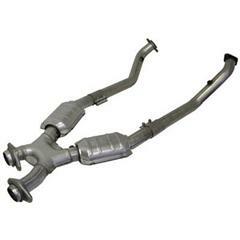 Choose from great brands such as BBK, Pypes, Flowmaster, Bassani, Magnaflow and more! 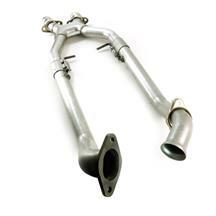 Look no further than Late Model Restoration for all of your Mustang mid-pipe needs! 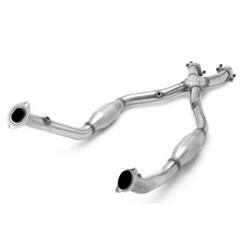 Want to add power while giving your 1994-2004 Mustang an aggressive new sound? 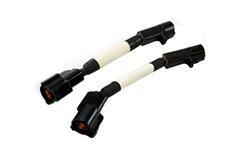 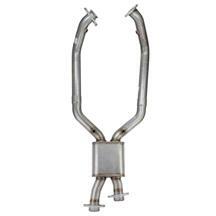 Add a catted or off road h-pipe or x-pipe to your exhaust system. 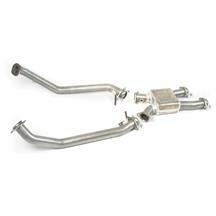 These midpipes flow more exhaust to make more power in your SN-95 Mustang. 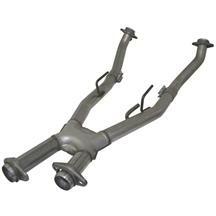 Choose the catted midpipes for a street legal hi flow catalytic converter setup, or an offroad midpipe that comes without cats for a bigger power gain.